Meco Inc of Augusta/ Greenville established in 1959 is a full line sales, service and installation company serving Georgia, South Carolina, and North Carolina for all your petroleum equipment needs. From Wayne Dispensers and Forecourt Systems, Verifone EMV POS Systems, Fuel Management Equipment, Underground and Above Storage Tanks, we provide top of the line petroleum equipment for both retail and commercial applications. We also offer Cree KED Lighting, Coolers, Air Compressors, Environmental Testing and Site Inspections, Water Removal from Tanks and Sumps. Our Factory Trained Service Technicians are available 24/7 for all your service needs. 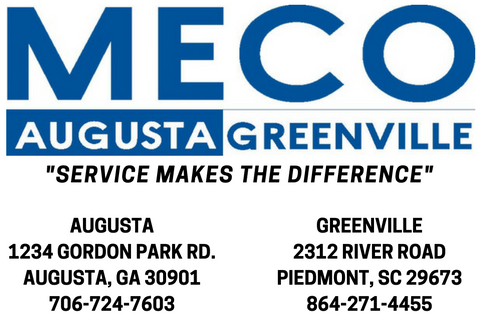 Call Meco Inc. of Augusta/ Greenville today at (800) 877-3560 for all your Petroleum Equipment sales and service needs.